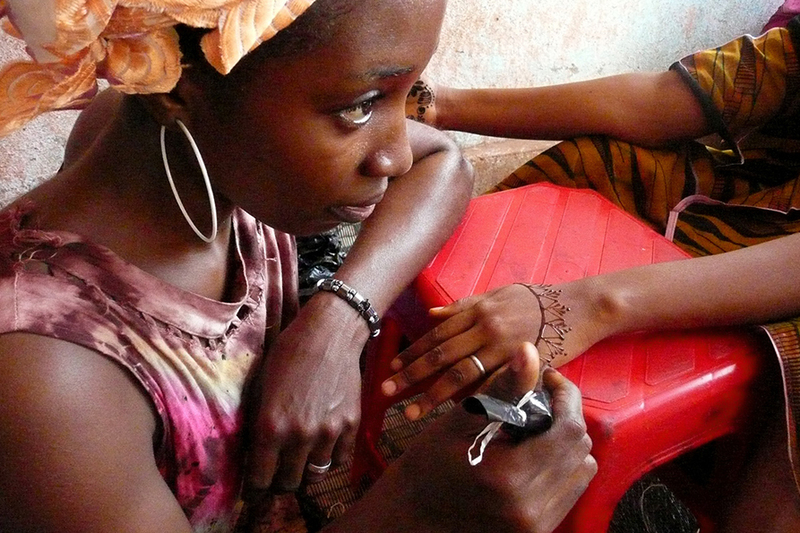 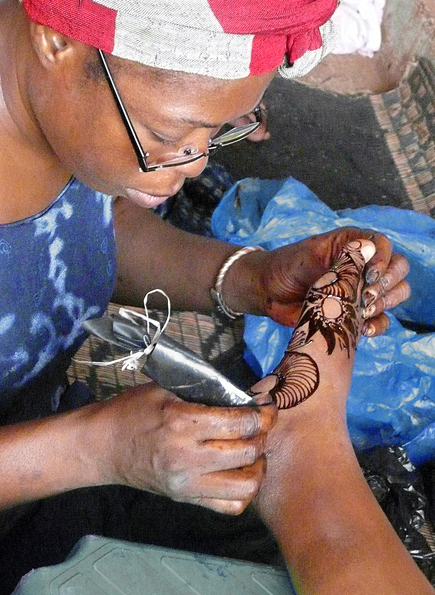 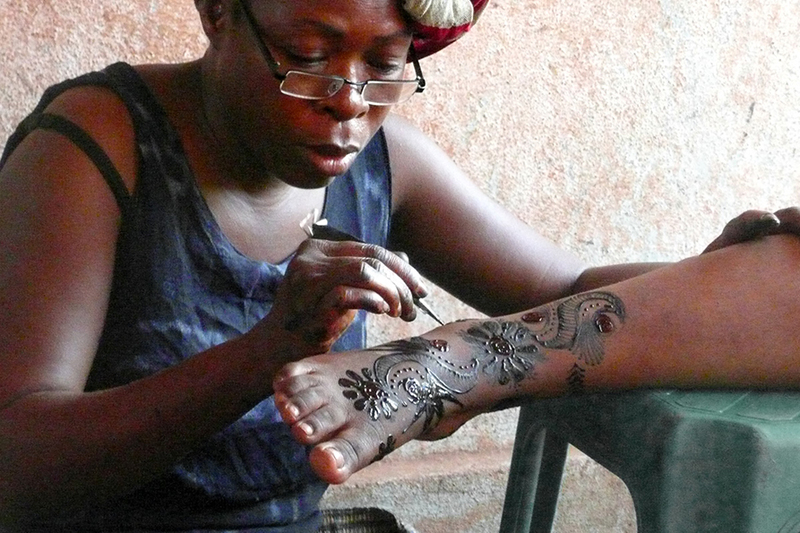 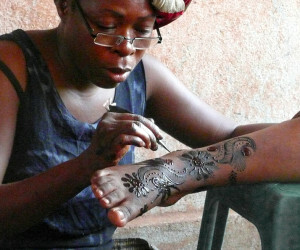 Bintou at work applying henna. 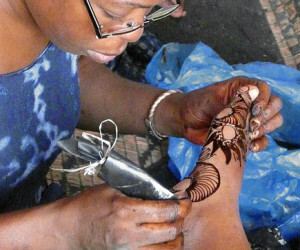 Aisha at work applying henna. 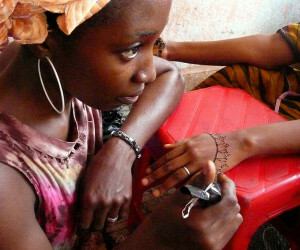 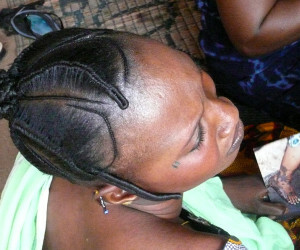 Bintou’s daughter works on nails. 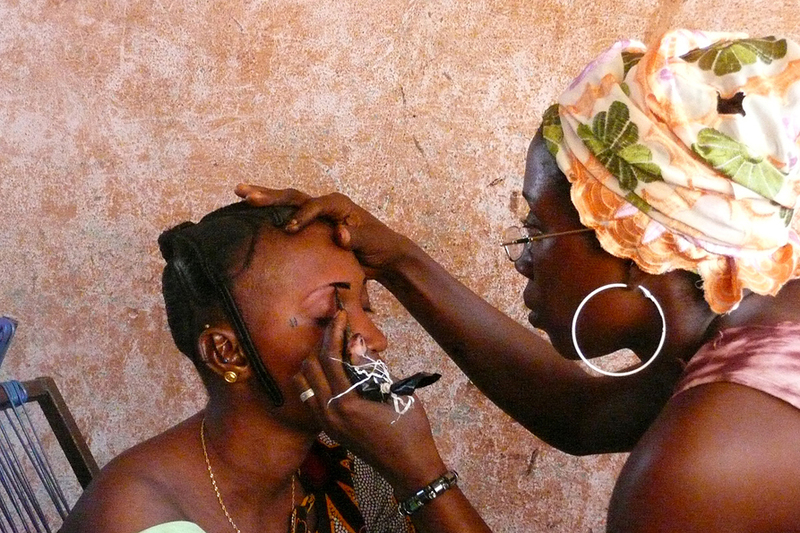 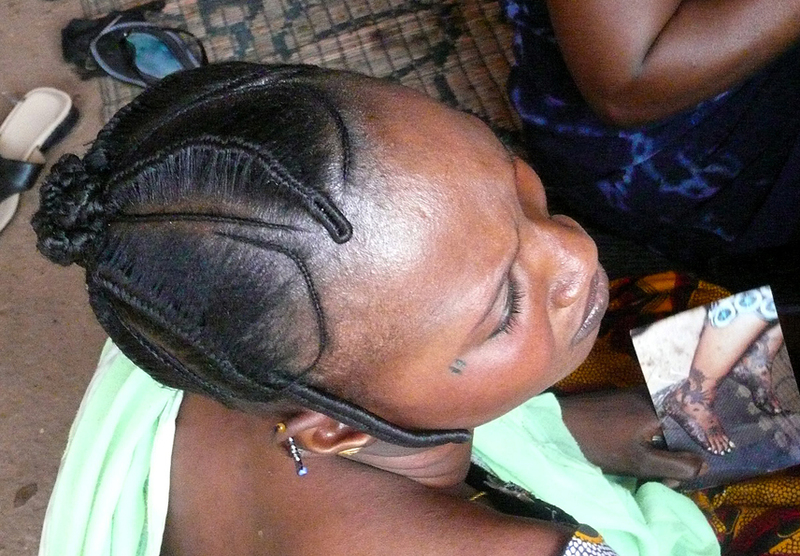 An intimate portrait of an open air beauty salon in Bamako, Mali, where women prepare for weddings, parties and other celebrations. 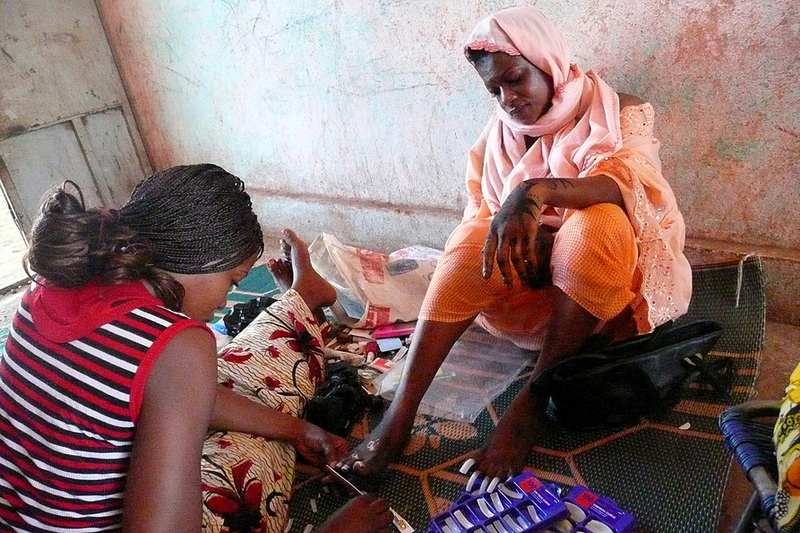 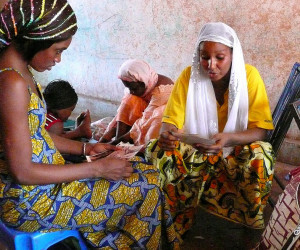 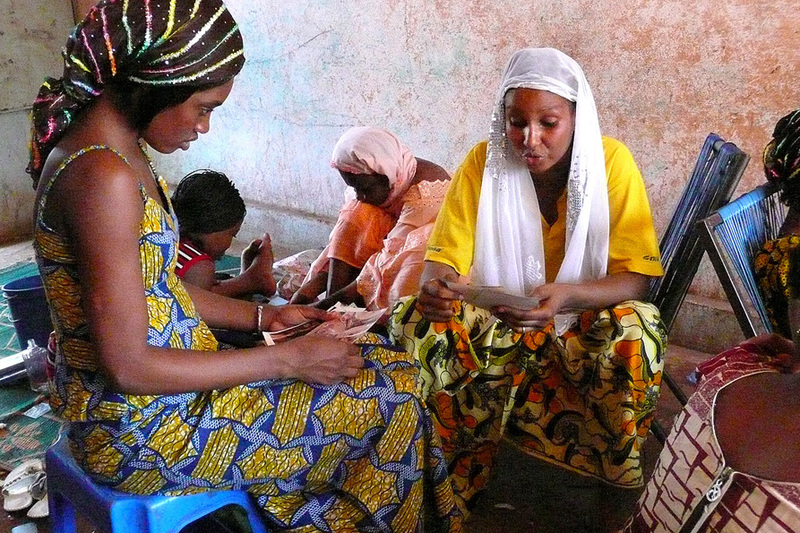 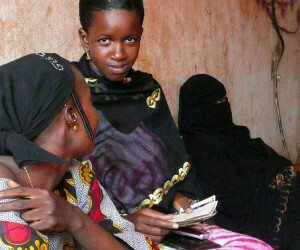 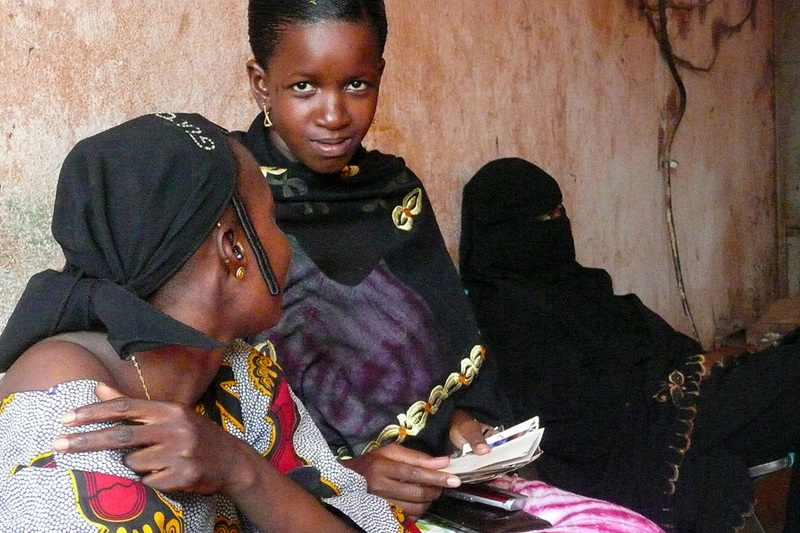 Bintou and Aisha work long hours especially on the weekends to satisfy their clients. 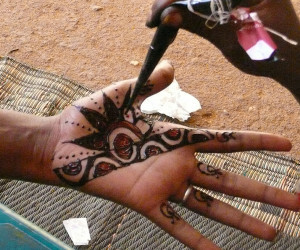 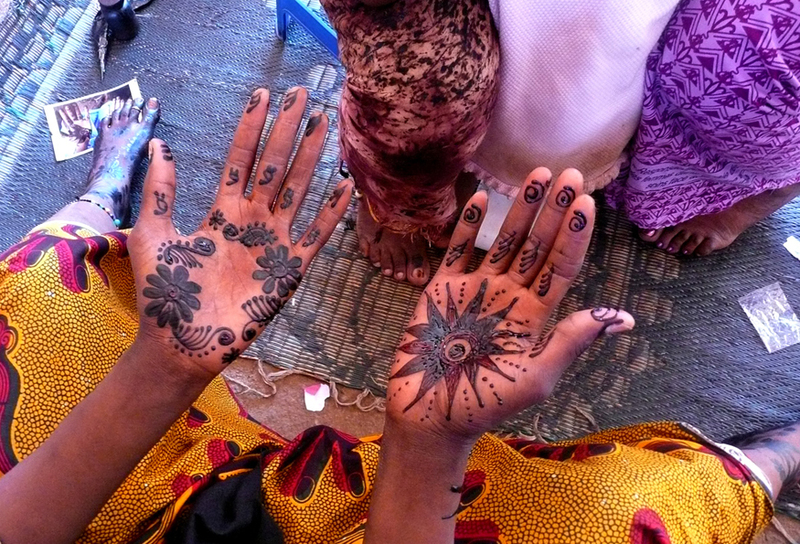 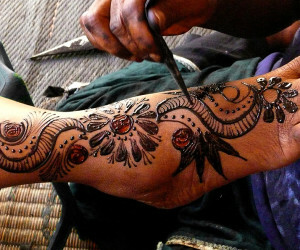 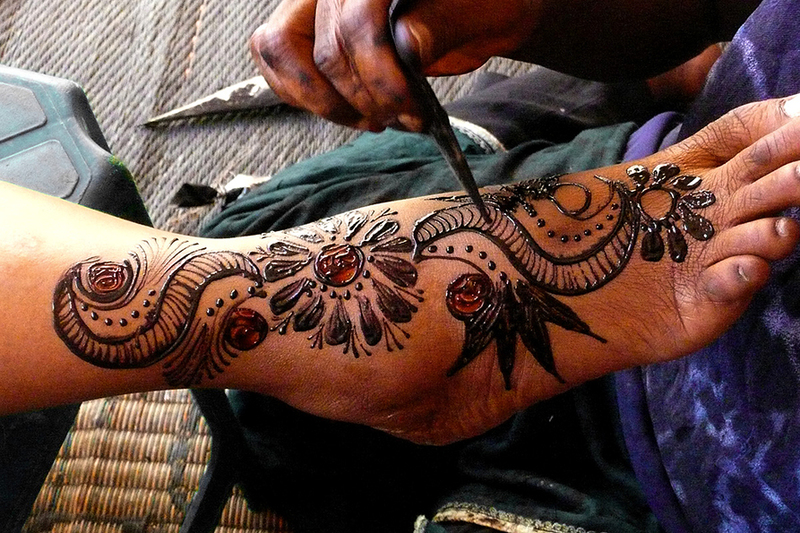 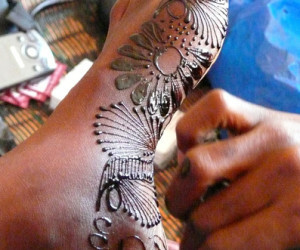 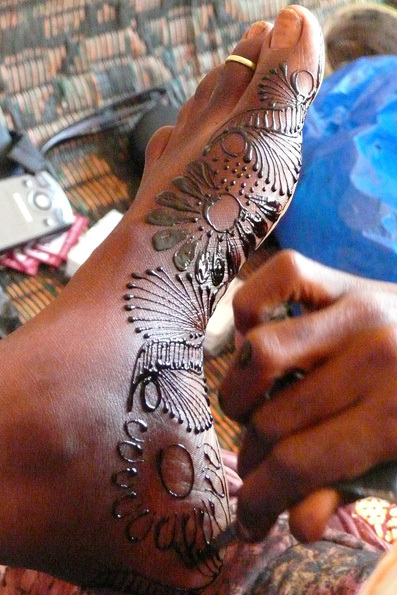 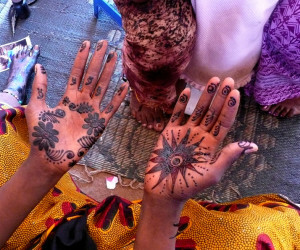 Henna is applied to hands and feet and lasts for about two weeks. 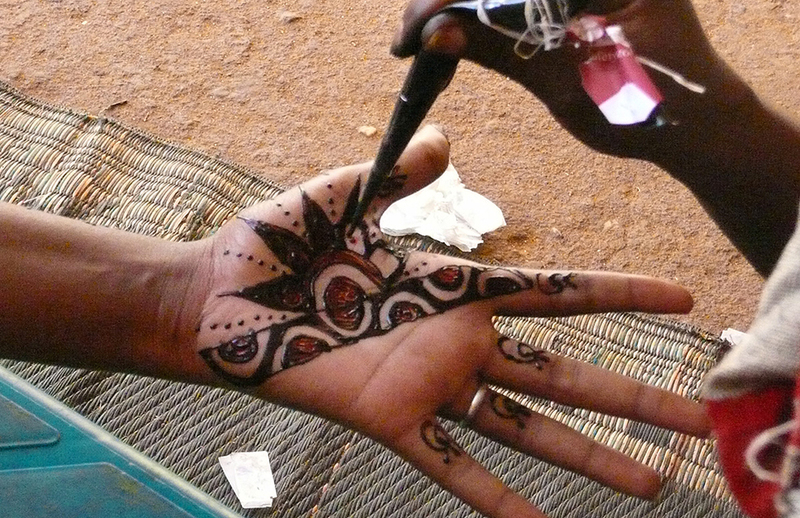 The designs are raised while they’re wet but are flat when the henna is dry.